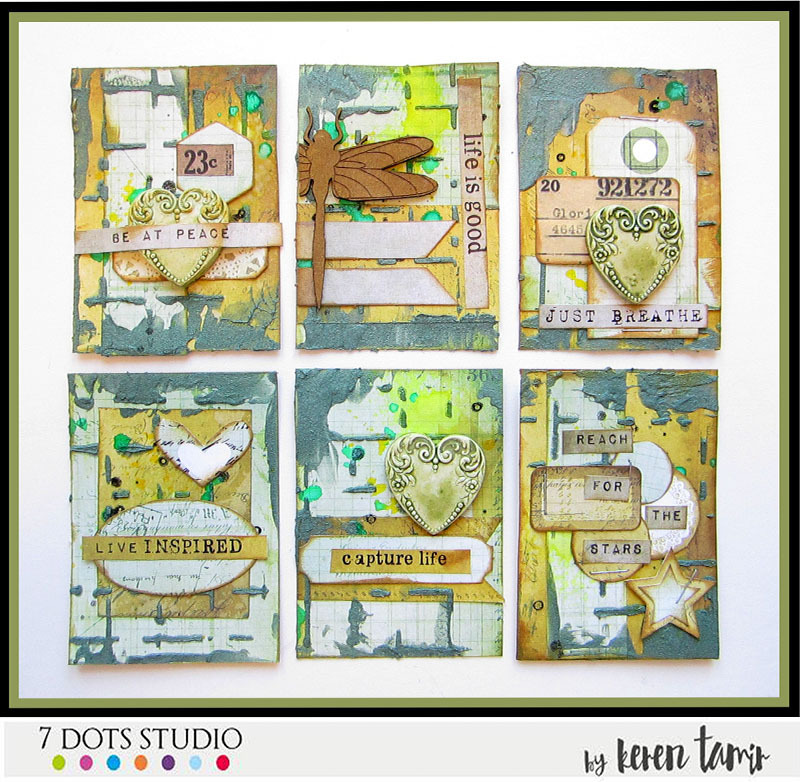 This month’s Flying Unicorn Kit features the beautiful 7 Dots Studio Lost and Found collection. 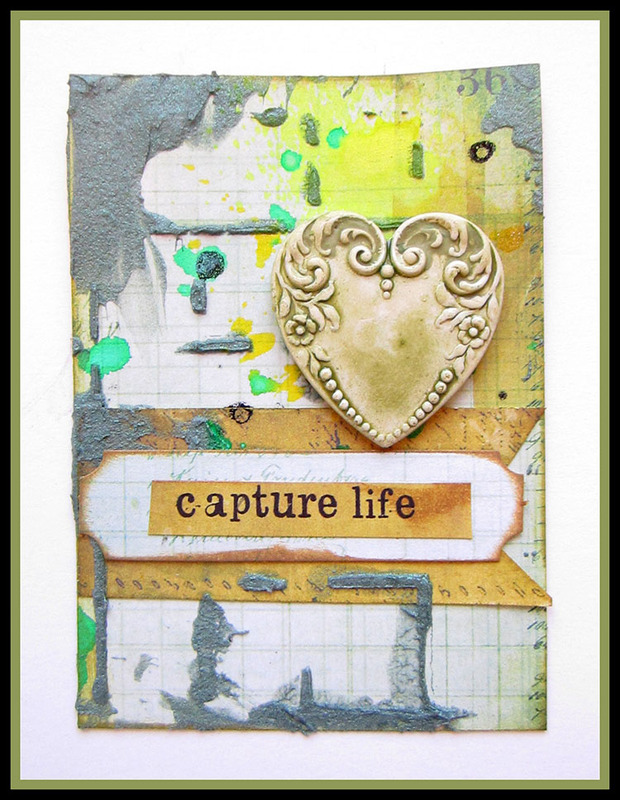 I created these ATC set using the 6×6 Pad from this collection that comes in the Small Art Big Passion Kit. This project is also my feature for the 7 Dots Studio Blog. Lately I’m in an ATC craze mode. I just love creating them and exchanging them with my friends from around the world. I find the 7 Dots Studio collections to be perfect for creating ATC’s. The 6×6 papers are perfect as each paper yields 3 ATC’s. So each collection pad can create several ATC’s at once. For these ATC’s I only used 2 papers out of the pad and I still had left over pieces to embellish over the cards. The 7 Dots Studios tags, word stickers and elements are perfect for adding those special touches to embellish the cards. You can see the small elements I added on the ATC’s and I used the word stickers as sentiments. 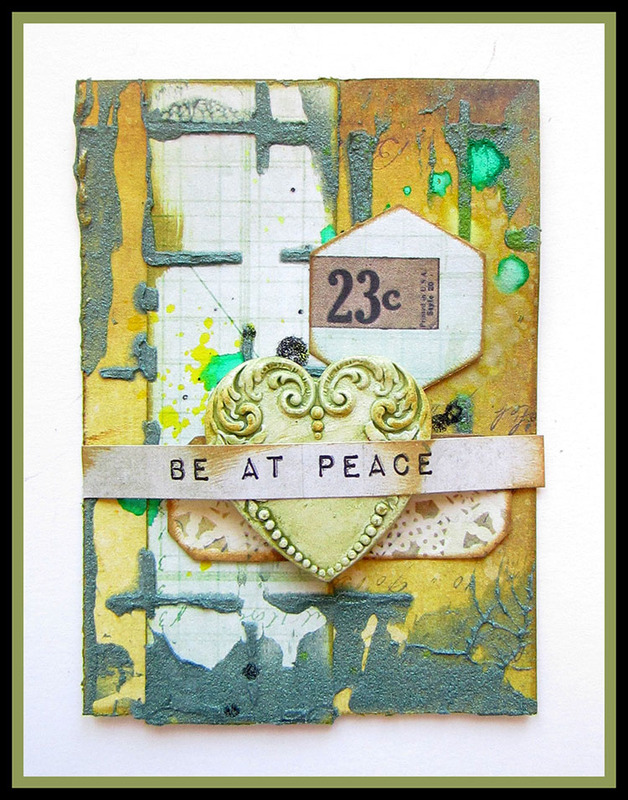 For the mixed media texture of the cards I used the 13 Arts tattered grid stencil from a previous Flying Unicorn Kit. 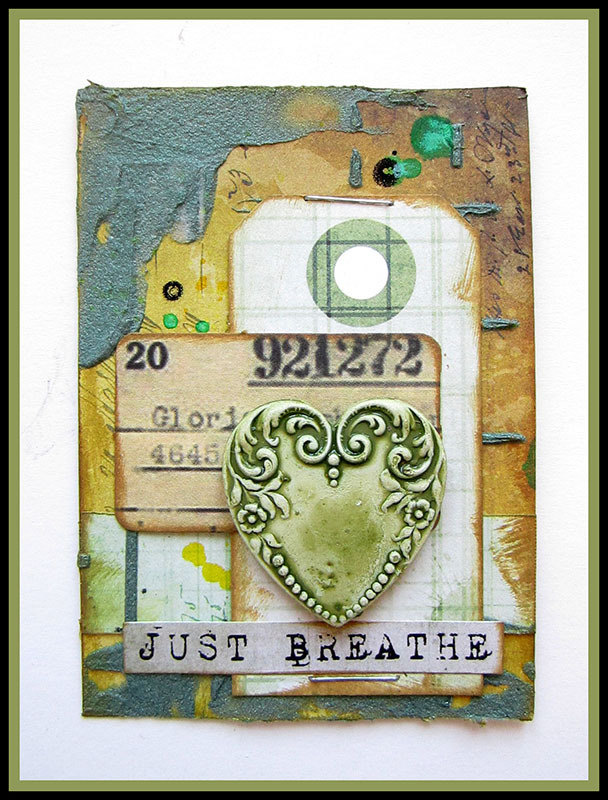 Then I combined Finnabair’s Light paste with Green Mica (from the October Kit) to use as the medium over the stencil. 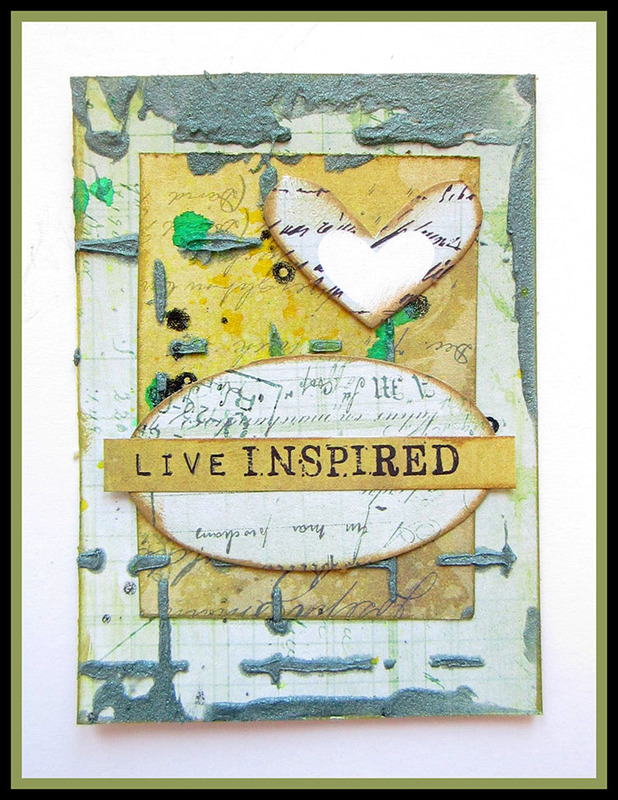 Once I finished stencilling, I used the leftover paste to create some more texture on the cards. I used some 13 Arts sprays to create some splatters on the background: Chalk black, Chalk Celadon and Chalk yellow. The resin heart is from Petaloo and it comes in the Flying Unicorn Small Art big passion October kit. Wonderful cards! 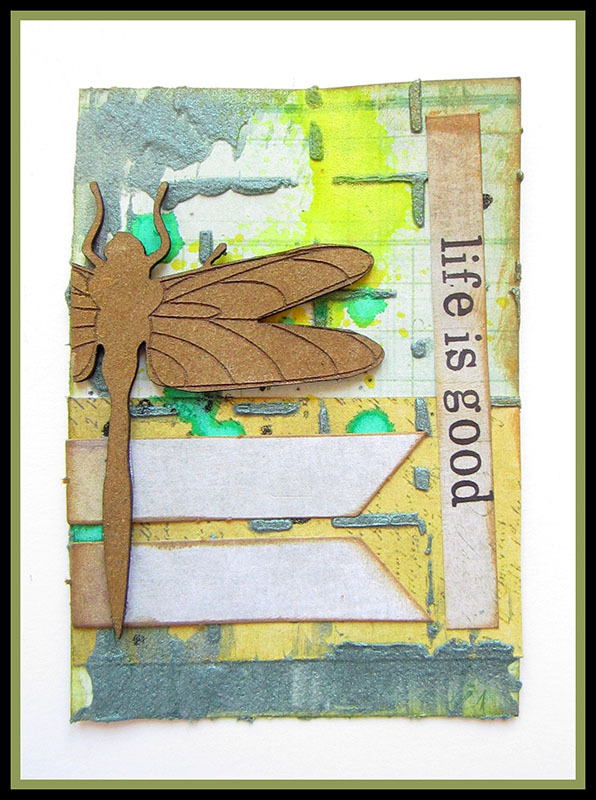 I love the staples you added- perfect for all the paper elements. Thanks for sharing! 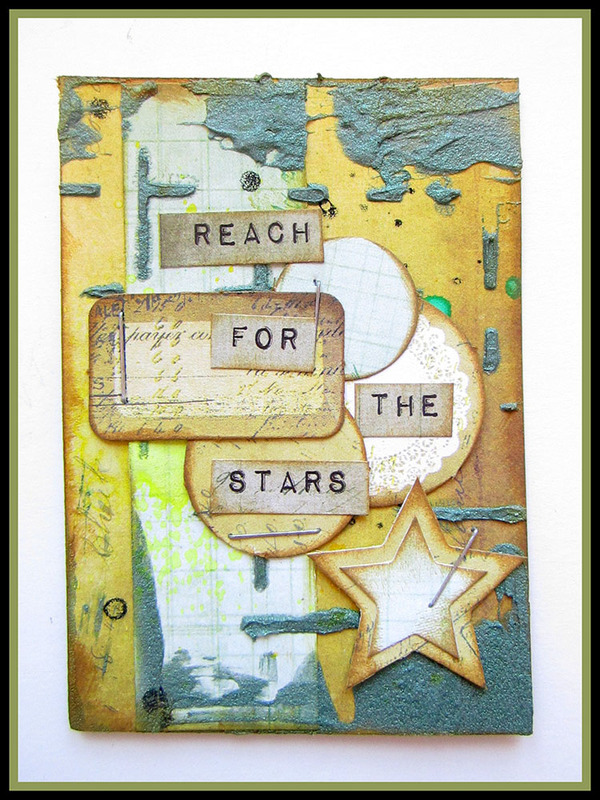 Keren you created a wonderful set of ATC's. I love all the details and the background texture. Fabulous work. Thank you for sharing your art. It's always inspiring to see what you created.